Book Signing with Mike Graf is something you should read. 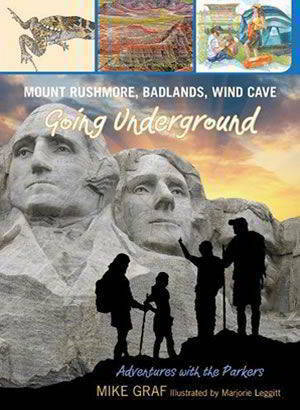 Join the Parkers as they go underground at Wind Cave, experience severe thunderstorms in the Badlands, and witness poachers illegally taking fossilized bones. What will happen when the family spots the criminals on the Presidential Trail at Mount Rushmore a few days later?